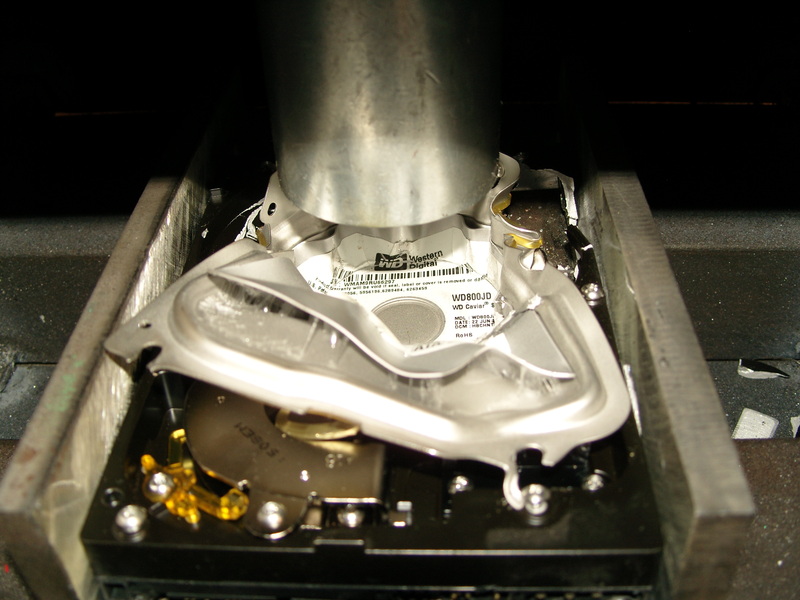 Where the client requires visual confirmation of data destruction, we offer an on-site hard drive destruction service where our engineers use a purpose built hydraulic crusher which presses out the platters or magnetic storage disks of the drive. In doing this ripples are created distorting the platters making data recovery impossible. 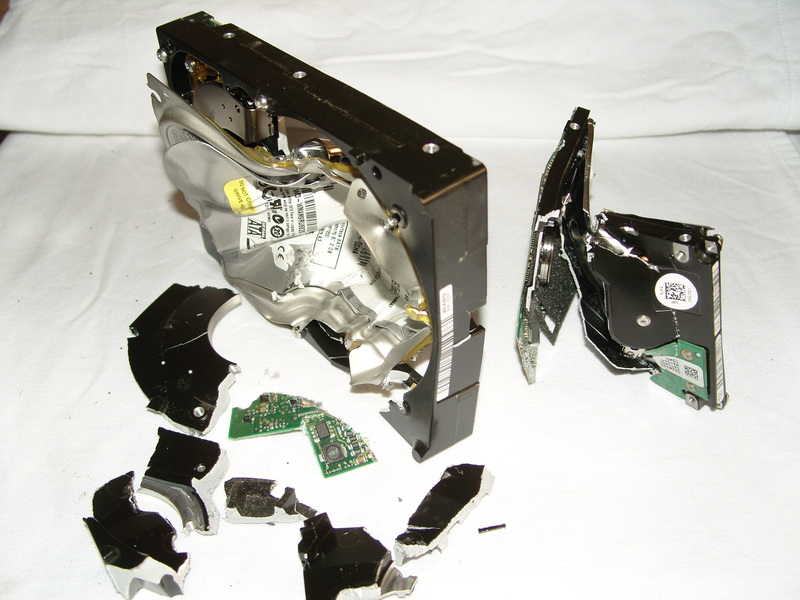 In carrying out this service our engineers will record all relevant serial numbers which will then be compiled into a data destruction report and given to the client on completion.